It is a very lovely teddy bear. It looks great on my sofa. 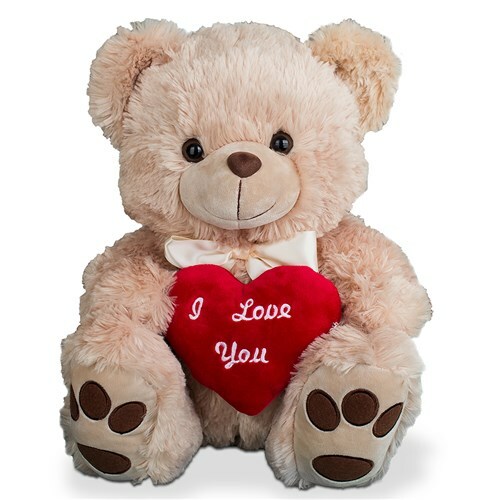 This cuddly friend makes a great gift for this Valentines Day for your special someone! This fluffy bear includes a cute bow with an embroidered heart that reads, "I Love You". I always order from 800bear for my grandchildren. They love the bears and so do I.